In 2017, I won the Sullivan County Artist in the Community Decentralization Grant. My proposal outlined a workshop teaching young people how to engage their Quantum Creative Energy to create the best possible future. 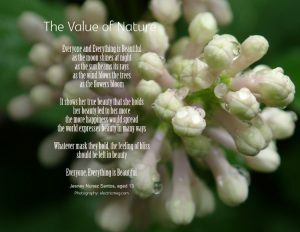 In the workshop, I challenged the 5th – 8th graders at the Boys and Girls Club of Liberty and Monticello NY to step out of their comfort zone and engage their creative energy by writing a poem entitled The Value of Nature, celebrating the beautiful and bountiful land where we live; the trees, the water, the wildlife, the clean air. 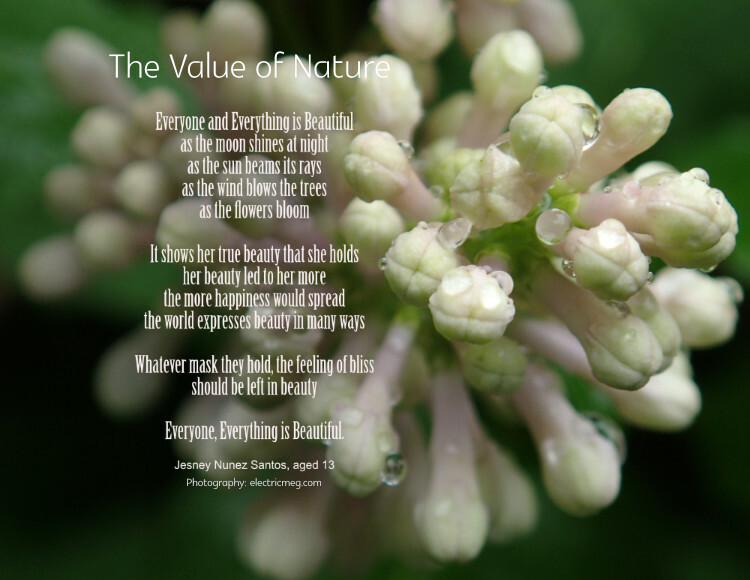 I then set these poems to my nature photography, resulting in a set of stunning collaborative works. Then, on July 9th I held a multimedia performance at the Tusten Theater with my band, The Bliss Ensemble, featuring a slideshow of the resulting collaborations. Five of these collaborative pieces are available for sale in the form of posters, and there is a book called The Value of Nature, containing all of the collaborations. Half of the profits from the sale of these posters and books will go directly to support the Boys and Girls Club. This project is symbolic of my belief in the incredible power of arts to transform, inspire, and educate. The Bliss Ensemble reprised the Liberty Trifecta of Peace, Love & Joy, which premiered in Liberty in 2016. 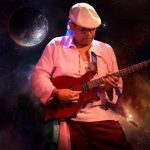 On Ka-a Davis (guitar) performs, teaches and has authored researches. Davis’ jazz formative years were introduced via Charles ‘Bobo’ Shaw’s “Human Arts Ensemble” which spawned such stars as Luther Thomas and Joe Bowie. Further reaches then were with Don Ayler’s Septet and the Sun Ra Arkestra. 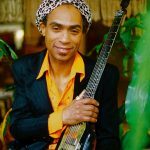 Davis has collaborating with Electricmeg for many years, including Mahjoun!, Gnawa fusion, Davis’ Famous Original Djuke Music Players, and Out da Concrete with Daniel Carter. 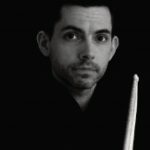 Andy Andre Lassalle (guitar) Composer and arranger for Miles Davis Albums Decoy and Man With The Horn. 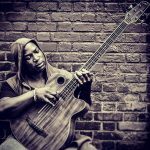 I have also played with Vernon Reid, Queen Esther Williams, The Harlem Gospel Singers, Larry Coryell, Johnny Winter, Buddy Guy, Frank Marino, Double Trouble, Eric Gales, Jerry Harrison (The Talking Heads), Robby Krieger (The Doors), Carlos Alomar (David Bowie), Lady Miss Kier (Groove is in the Heart) and Victor Jones. Featured with Buddy Guy for Experience Hendrix. 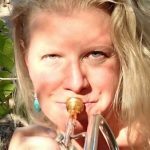 Electricmeg (trumpet/vocals) Electricmeg is a jazz/worldbeat/avant garde musician/producer/multimedia artist who infuses her work with quantum energy at the vibrations of Bliss. This event is the result of winning the 2017 Sullivan County Artist in the Community Grant. She is the producer of the event, composer of the music and photographer.